HORNOR (Horner), THOMAS, colonizer, militia officer, jp, office holder, and politician; b. 17 March 1767 in Mansfield Township, Burlington County, N.J., eldest son of Isaac and Mary Hornor; m. 22 March 1801 Olive Baker in Oxford County, Upper Canada, and they had seven children; d. 4 Aug. 1834 in Burford Township, Upper Canada. 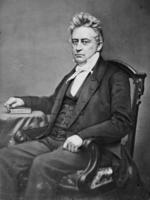 Raised in a prosperous family of New Jersey Quakers, Thomas Hornor received a good education at the College of New Jersey, now Princeton University – as befitted the nephew of one of its founders. During the summer of 1794 he and his cousin Thomas Watson Jr brought 20 settlers to Watsons (later Blenheim) Township in Upper Canada, a township grant made by the government the previous summer to Thomas Watson Sr and his associates. Having selected a mill site near the front of the township, Hornor brought from Albany, N.Y., in May 1795 the necessary men and materials to construct a sawmill. That year Abraham Iredell* surveyed a part of the township and Hornor completed the construction of the first sawmill, on lot 15, concession 1, along what became known as Horror’s (Horner) Creek. He then began to cut a road, six miles in length, through the township. In 1797 Administrator Peter Russell* rescinded many township grants, including Watson’s; Hornor received 600 acres in Blenheim, exactly half the amount he had requested. Some time after settling in Blenheim, Hornor was apparently dismissed from the Society of Friends for becoming a freemason and joining the militia. He served as senior warden in Masonic Lodge No.11 in 1797 and, in March 1798, was appointed a captain in the Norfolk militia; he also became a member of the Church of England. The erection of the London District in 1800 brought Hornor a host of local offices: justice of the peace, commissioner of the Court of King’s Bench, registrar for the counties of Oxford and Middlesex (on the recommendation of Samuel Ryerse*), and commissioner for administering the oath of allegiance to persons claiming possession of lands in the district. In 1802 William Claus was appointed lieutenant of Oxford County, the most powerful and important local office; initially he relied upon Benajah Mallory* as his unofficial deputy in militia matters, but by May 1803 Hornor, who was captain of the Blenheim company of the 1st Oxford Militia, had assumed this role. Resentful, Mallory sought the formal position, but in vain: Hornor was officially appointed in June 1806. Over the next few years Hornor became entangled in the factionalism which characterized local politics. He was a natural target for the widespread resentment against district officials, particularly Ryerse and Thomas Welch*. On one occasion, Hornor and another magistrate were brought before the Court of Quarter Sessions on charges of being drunk on duty as jps. On another occasion, in June 1804, Sheriff Joseph Ryerson allegedly informed Daniel McCall that Hornor and another were “principal Characters” in a “dangerous Conspiracy” to shoot “every good and loyal Subject” of the king. McCall, however, waited until June 1807 before swearing a deposition about the plot. Some time after January 1809 Hornor lost the deputy lieutenancy, probably as a result of these charges. To compound his misfortune, in 1809 his grist-mill, built in 1802, was destroyed by fire; it was never rebuilt. At the outbreak of the War of 1812 the old suspicions of his loyalty had not died and he lost the long-coveted lieutenant-colonelcy of the 1st Oxford Militia to Henry Bostwick. Hornor was eager to demonstrate his loyalty and his opportunity came when in 1812 John Norton mustered only a handful of the Six Nations Indians. Hornor immediately proceeded to the Grand River and used his influence to enlist some 75 Indians who travelled with him on foot to the Detroit area. The expedition, which was made entirely at Hornor’s expense and for which he was never compensated, was dismissed before reaching its destination. In spite of this gesture of loyalty he was still unable to obtain a commission; early in 1813 he enlisted as a private and served as such until the end of the war. Following a militia reorganization in 1822, Hornor was finally commissioned colonel of the 1st Oxford. In 1820 Hornor won the riding of Oxford by acclamation. Once in the House of Assembly he proved himself a reformer although an office holder, jp, and militia officer. He supported, for example, the right of both Bidwells, Barnabas and Marshall Spring*, to sit in the house, the repeal of the Sedition Act of 1818, and the bill for the relief of Wesleyan Methodists. In the election of 1824, when the riding returned two members, Hornor topped a three-man poll and was joined in the assembly by Charles Ingersoll. Hornor was re-elected in 1828 but lost to Ingersoll and Charles Duncombe* in 1830. 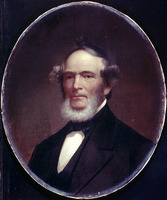 Although no longer a member of the assembly he expressed opposition to the expulsion of William Lyon Mackenzie* from the house in 1831. Hornor continued to engage in farming in addition to his other endeavours. In March 1830 he secured the patent to a new and improved horse-powered threshing machine which he had co-invented. He died intestate in August 1834, a victim of the cholera epidemic; his estate was valued at more than £428 and he was survived by his wife and six of their seven children. PAC, RG 1, L3, 224: H3/100; 230a: H13/36; 251a: H misc., 1797–1820/15; 523a: W5/19; 525a: W9/16. UWOL, Regional Coll., London District, Surrogate Court, estate files, 1800–39, no.250. The Oxford gazetteer; containing a complete history of the county of Oxford from its first settlement . . . , comp. T. S. Shenston (Hamilton, [Ont. ], 1852; repr. Woodstock, Ont., 1968). History of Princeton, 1795–1967, [comp. Mrs W. H. Williamson and Evelyn Brown] ([Princeton, Ont., 1967]). Daniel J. Brock, “HORNOR, THOMAS,” in Dictionary of Canadian Biography, vol. 6, University of Toronto/Université Laval, 2003–, accessed April 21, 2019, http://www.biographi.ca/en/bio/hornor_thomas_6E.html.